This subject began with Daily Zohar 790. At this exact point, the gates of Binah in heavens opened up and the soul of Rabbi Ashlag ascended to the upper world. Studying this Zohar section, we learn a great lesson about the greatness of Rabbi Ashlag and the power of the Zohar. That man also told Rabbi Shimon that the secrets of the entire spiritual system starts with the desire to connect with the Tree of Life and by knowing the secrets of the names. and that means being rewarded with the ultimate spiritual goal of completing the Tikkun and witnessing the Final redemption. Rabbi Ashlag saw the future redemption and his reward. He left with this words for us to remember the mission of spreading the Zohar, not just for you and me but for the benefit of ALL mankind. Only when all come under the ‘wings’ of the Shechina, they will be protected from the final cleansing process (that is already started) and see the Final Redemption. What did Rabbi Ashlag do for us? 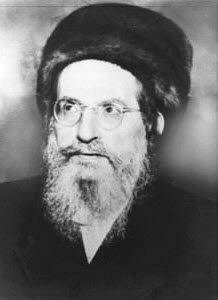 He started writing the commentary on the Zohar during World war II. The Nazis were already in north Africa and were on their way to Israel (that was under British ruling at that time). As they reached Egypt they stopped because they lost their connection to all food and other supplies. When the first Zohar book came out of the printing press, the war ended and the Nazis surrendered. Five years after he started his work on the Zohar, in 1948, Israel became an independent state. Rabbi Ashlag then said that this is the beginning of the Final Redemption. He passed away 5 years later after working 10 years on the Zohar. Rabbi Ashlag left for us energy of life. Most Kabbalah teachers in the world are fed and ‘energized’ from his writings on the Zohar and from the study method he left for us on Tree of Life from the Holy Ari. Always remember Psalms 91:16 as the ultimate reward for our spiritual work and growth. ” With long life will I satisfy him, and make him to behold My salvation.